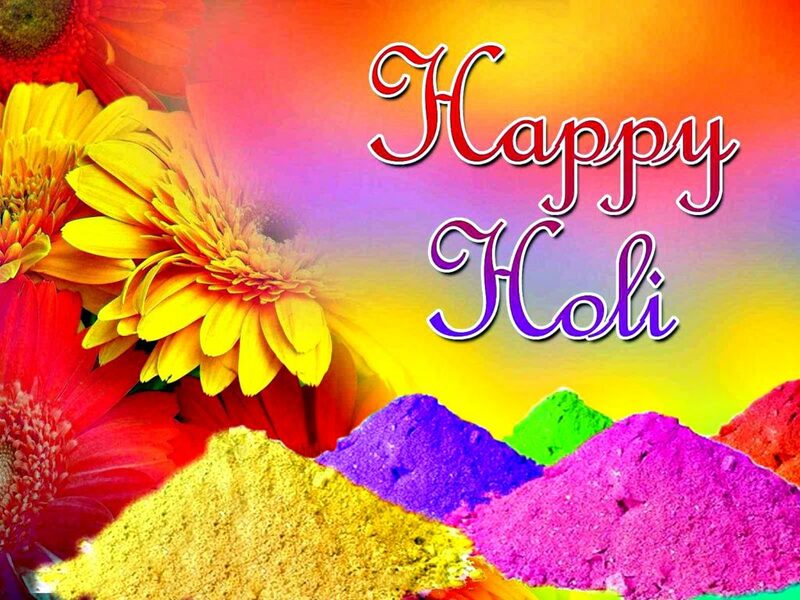 Indians celebrate Holi for they have the choice to choose their personal God. For them God comes in various vibrant colors giving them sense of joy from several directions. New Delhi (CNN)It’s the bold image of India most often seen in ad campaigns, films and music videos. 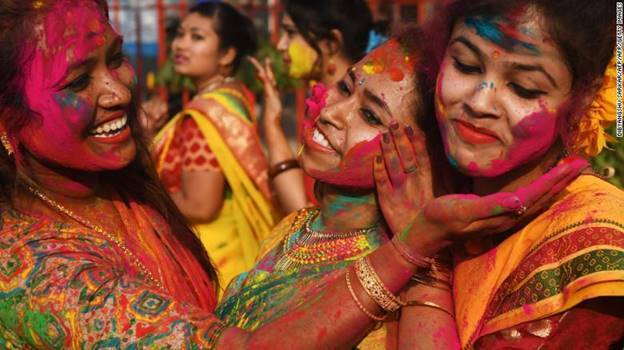 But what is Holi and why do Indians celebrate it? 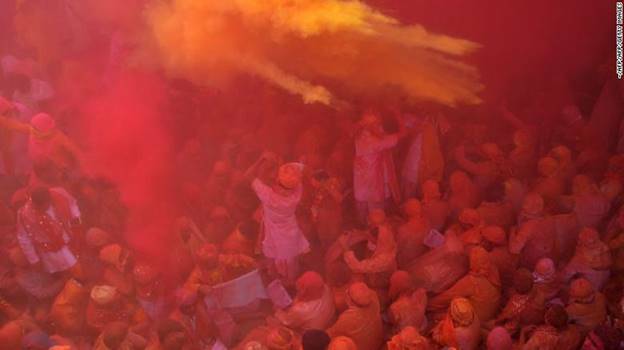 Hindu devotees play with color during Holi celebrations at the Banke Bihari temple on March 27, 2013 in Vrindavan, India. 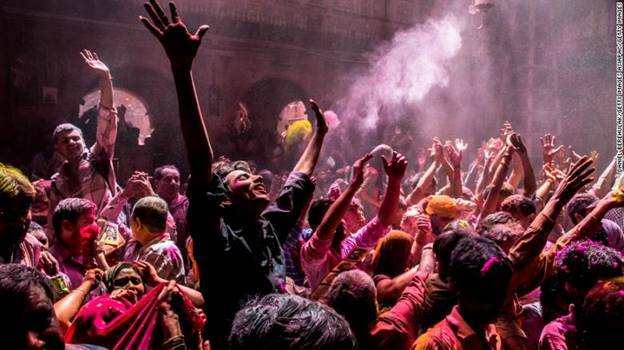 "Witness the beauty of the great cupid festival which excites curiosity as the townsfolk are dancing at the touch of brownish water thrown … Everything is colored yellowish red and rendered dusty by the heaps of scented powder blown all over," wrote Harsh. Indian students smear colored powder during an event to celebrate the Hindu festival of Holi in Kolkata on February 26, 2018. 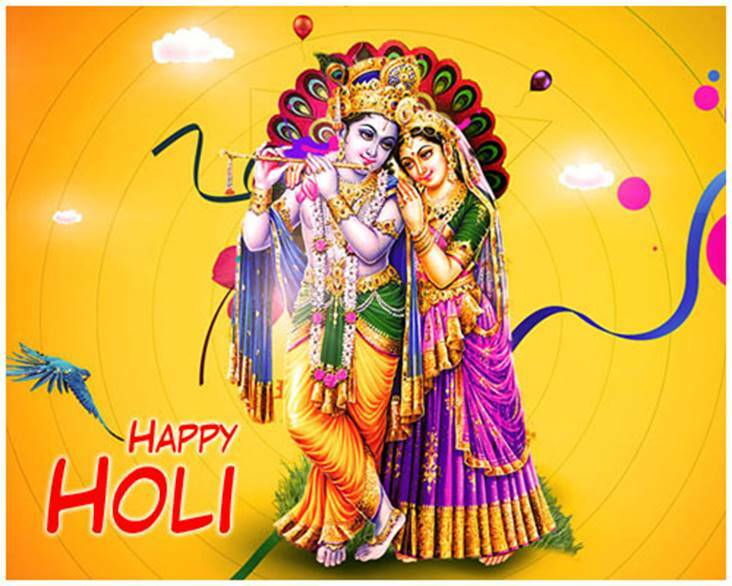 Although a Hindu festival, Holi is celebrated by Indians across the country and is a great equalizer. Children can douse elders with water, women splash men with color and the rules of caste and creed are briefly forgotten with everyone taking part. A national holiday, it takes place on the last full moon day of the Hindu lunisolar calendar month, which is usually March. This year’s national holiday falls on Friday, March 2. 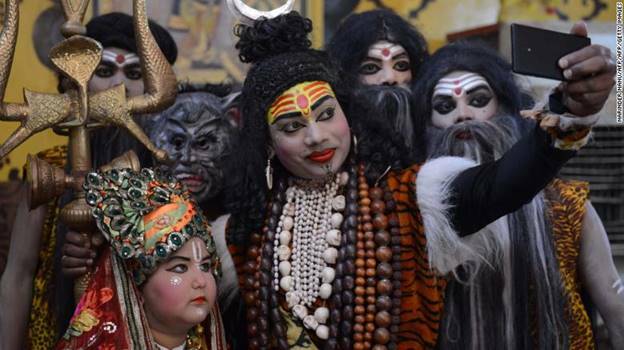 An Indian artist dressed as Hindu god Lord Shiva takes part in a procession ahead of the Holi festival in Amritsar on February 26, 2018. Hiranyakashayap believed he was the ruler of the universe and superior to all the gods. But his son, Prahlad, followed the god Vishnu, the preserver and protector of the universe. Prahlad’s decision to turn his back on his father left Hiranyakashayap with no choice. He hatched a plot with Holika to kill him. Indian Hindu devotees throw colored powder during celebration of Holi Festival at Sriji temple in Barsana in the northern Indian state of Uttar Pradesh on February 23, 2018. In modern day Holi celebrations, Holika’s cremation is often reenacted by lighting bonfires on the night before Holi, known as Holika Dahan. Indian college girls throw colored powder to one another during Holi festival celebrations in Bhopal on February 28, 2018. Krishna, the Hindu god depicted with dark blue skin, is believed to have complained to his mother about Radha’s fair complexion. To ease her son’s sadness, his mother suggests he Radha’s skin color by smearing her with paint. 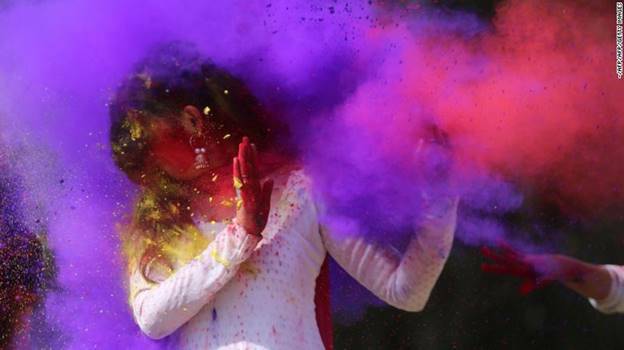 It’s believed that this is where the custom of smearing loved ones with color during Holi came from.